Professionally restored & refurbished lawn furniture - usually for less than the price of a new set. 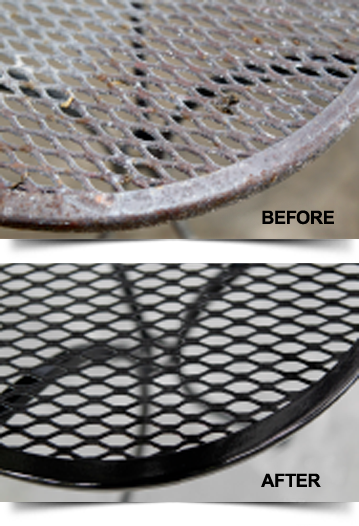 Don't trash and replace your worn-out, rusty lawn furniture. We've got a better, money-saving solution. AST/ACME will restore, renew and revitalize your lawn furniture. We can even recommend a coating solution that is superior to (and will outlast) the original factory finish. More ways we can help. We are specialty applicators of virtually any type of protective coating, from outdoor furniture to our exclusive painting contract for a U.S. Naval Weapons System.